Example 17 Check whether “Or” used in the following compound statement is exclusive or inclusive? 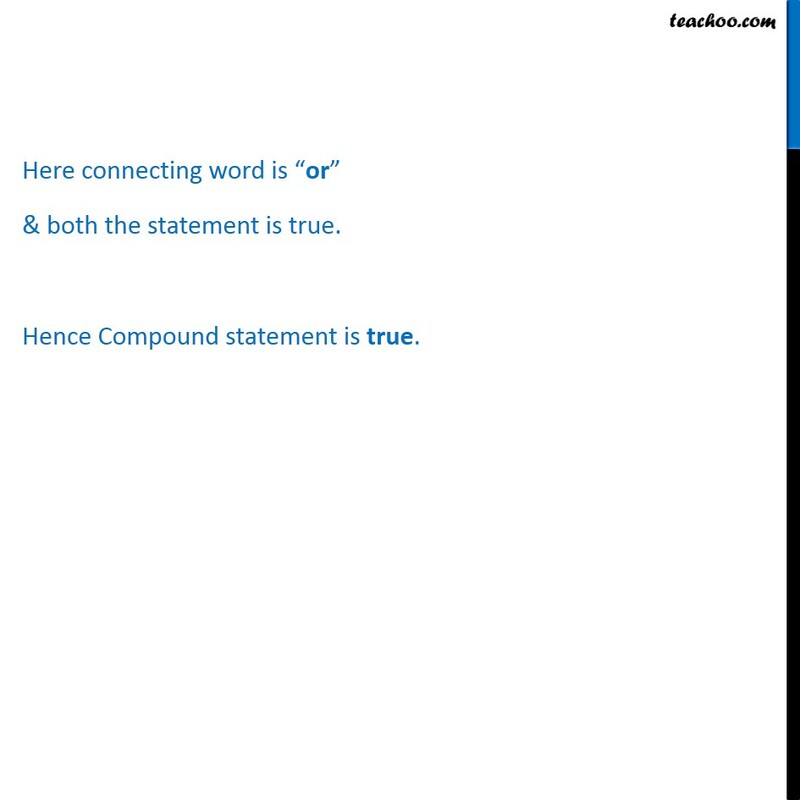 Write the component statements of the compound statements and use them to check whether the compound statement is true or not. Justify your answer. t: you are wet when it rains or you are in a river. 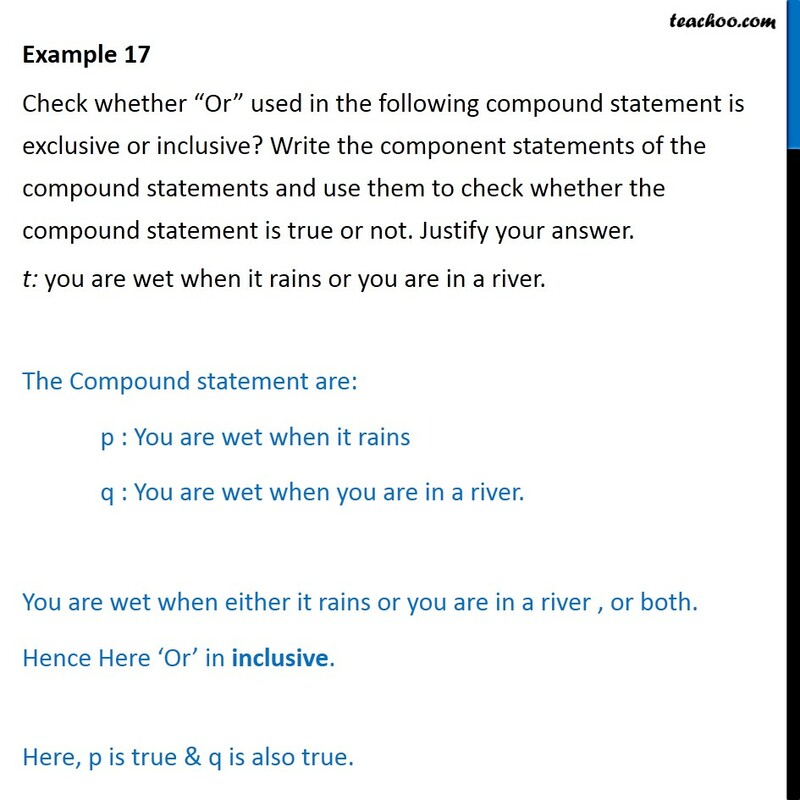 The Compound statement are: p : You are wet when it rains q : You are wet when you are in a river. You are wet when either it rains or you are in a river , or both. Hence Here ‘Or’ in inclusive. Here, p is true & q is also true. Here connecting word is “or” & both the statement is true. Hence Compound statement is true.